For use as a frame edge sealing tape, or as a screen mesh patch. 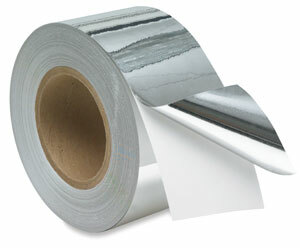 2-mil polyester film is coated with pressure-sensitive adhesive. Resistant to water, humidity and solvent. ® General Formulations is a registered trademark.